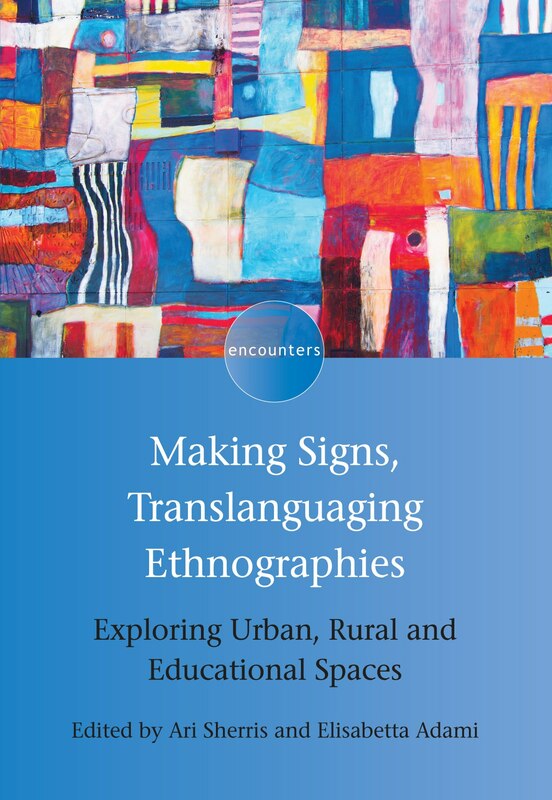 We recently published Making Signs, Translanguaging Ethnographies edited by Ari Sherris and Elisabetta Adami. In this post the editors introduce us to the book and its unique Bricolage and Talmudic sections. Preparing this volume has been a work of encounters which gave way to layers of experiences and we hope is just one possible opening to a new way of thinking about how we make and interpret meaning. It started as a serendipitous encounter between the two of us, when we met once at a symposium on translanguaging and ethnography and later began conversations on the possibilities of crossing perspectives, in an attempt at starting a dialogue between social semiotics and complexity theory. The experiences of the volume’s contributors form additional layers at the core of this volume from ethnographic/documentary linguistics, sociolinguistics, linguistic landscape, and multimodality (broadly conceived). The volume is also a site of encounters among four theorists of what we envisage as among the most innovative and promising perspectives on research and activism across inclusive approaches to communication, language and education with a Bricolage piece asking Jan Blommaert, Ofelia García, Gunther Kress and Diane Larsen-Freeman to answer ten key questions and trace interrelations with each other’s viewpoints. Besides the eye-opening preface by Jeff Bezemer and Gunther Kress, and the introduction written by us, the volume hosts seven chapters presenting empirical studies that relocate margins at the centre, through investigations of phenomena and settings that have been little explored so far, and by attempting various entanglements between approaches that have rarely been combined. Research of and through these uncharted entanglements allows the authors (and hopefully the readers) to show how observing and documenting domains of communication that are often neglected can not only problematize traditional ways of knowing, but also shed new light onto social interaction, meaning-making and human communication as a whole. Finally, the volume attempts at stretching the boundaries of (the often too limiting) academic genres. It does so first and foremost in the Bricolage; the process of its making has been a wonderfully enriching enterprise, for us, the editors, and (we like to believe) for the four theorists too, who had never met on (screen and) paper before. Working with them at the Bricolage, we have not only had further proof of the immense intellectual value of Diane, Gunther, Jan and Ofelia, but also experienced the immensely humane, thoughtful and caring characters of the four. We hope that the Bricolage may be the first of a series opening a new genre enabling academic dialogue through joint forms of writing. A second genre innovation is in the final chapter of the book, in which we draw from the Talmudic tradition to construct commentaries to each of the empirical chapters that add additional layers, imagined next steps in meaning-making and interpretation. The commentaries ask themselves how these studies would be reframed and (re)investigated further by adopting a social semiotic and a complexity theory perspective. This, too, is an attempt to start a dialogue between two approaches that have good grounds for potential mutual integration and yet had not met until now. We hope this dialogue will continue further with those who read the book. We look forward to hearing from you! 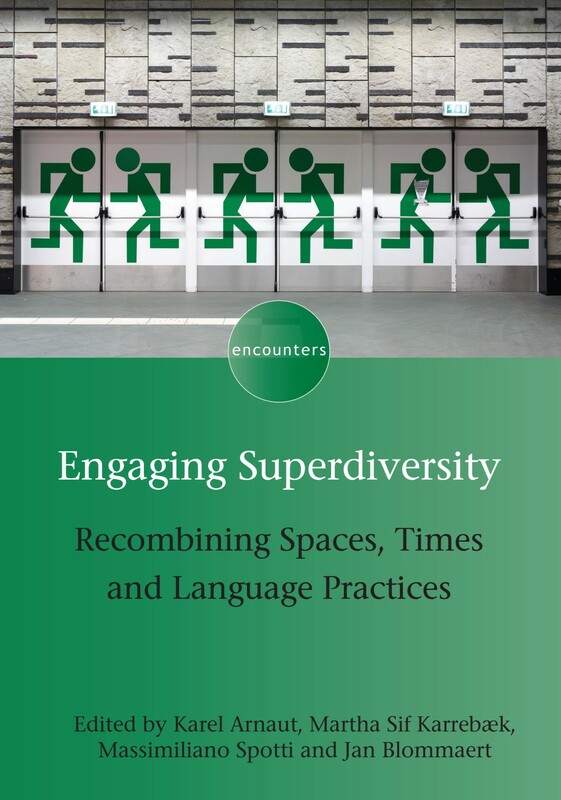 If you found this interesting, you might also like Engaging Superdiversity edited by Karel Arnaut, Martha Sif Karrebæk, Massimiliano Spotti and Jan Blommaert. 11 July 2017 started very much like any other day. It ended in admission to an acute stroke unit. The implications of this life changing event dawned only gradually, as did the realization that things could be much worse. For starters, the damage to my brain had manifested itself in left-sided weakness; communication – that most precious of human gifts, particularly for a linguist – was unaffected. And by the time I had transferred from the acute unit to Valley, a neuro rehabilitation ward, it had become clear that this new environment was nothing short of a playground for sociolinguists. In this world of Brexit, one of the recurrent themes has been the status of the large numbers of nationals of other countries employed in the NHS and concern over what a ‘hard Brexit’ might mean for patient and social care. This concern is certainly well founded. Thus, while the majority of NHS staff are British, a substantial minority are not – some 12% in fact of all staff for whom a nationality is known. Between them, they report 199 nationalities (Source). As a patient, my interest focuses very firmly on the need to fight immigration policies which risk bringing the NHS to its knees. But my interest as a sociolinguist was on languages spoken rather than nationalities. And while discussion of language in the NHS tends to centre on proficiency in English, this topic forms no part of my own narrative: all medical staff I encountered were fully proficient English speakers. Too narrow a focus on English simply misses the broader picture. In addition, my interests lie in the wider hospital community – the domestic team (cleaners and controllers of the hot drinks trolley) and, of course, patients and their families – and not just the medical staff. As I struggled with neurological fatigue and engaged with physio-terrorists – they who must be obeyed – in learning to walk again, my mission to establish which languages were spoken on Valley ward, and the attitudes towards them, was a valuable diversion. I was clearly dealing with an opportunity sample, not necessarily representative of the hospital as a whole, let alone the picture nationally. Nonetheless, there was potential to offer depth and light on bland official statistics. Ethically, this mission was open to question. I was hardly in a position to seek approval from an ethics committee but I comforted myself with the thought that ethics are rather more nuanced than sometimes suggested in research methodology textbooks. For instance, on hospital admission I have no recollection of having signed a consent form for participation in an international drugs trial so, strictly speaking, didn’t give informed consent. However, given that that the drug in question may have saved me from a catastrophic outcome, I have no desire to take the moral high ground. In the absence of formal approval, I nonetheless attempted to behave as ethically as possible. The hospital has not been identified and the anonymity of participants respected. In cases such as Polish, the language spoken was transparent from people’s names, bypassing the need for consent. In other cases, I simply explained that, as a linguist, I was interested in which language(s) they spoke at home and, without exception, people were happy to share. I also mentioned what I was doing at a multidisciplinary case conference before I was discharged, where participants volunteered information on the languages spoken by colleagues I hadn’t been able to approach directly. Asking people what languages they speak is clearly a less sensitive issue than asking them where they come from. Some 17 different languages were spoken on the ward (see Figure 1, left). In almost all staff roles, bilinguals outnumbered monolingual English speakers. The majority of patients, in contrast, were native speakers of English, no doubt reflecting the fact that most people in neuro-rehabilitation have suffered a stroke and are therefore more likely to be older rather than younger; the median age of immigrant communities in contrast, is lower than for the population at large. On a global scale, multilingualism is the norm, as captured by the slogan: ‘Monolingualism can be cured: learn another language’. By the same token, the multilingualism that lay just below the surface in Valley ward was, for the most part, taken for granted. Its ‘normalcy’ was neatly captured when a patient, who was admittedly suffering from intermittent confusion, asked Steven, a nurse born and brought up in Southampton, how many years he had been living in the UK. Today, of course, we are all products of globalization and beneficiaries of the accompanying population movements. Speaking personally, I have two Polish daughters-in-law. One of the physiotherapists was engaged to a Peruvian; the partner of an HCA was also Peruvian; they had a Brussels-based granddaughter growing up with French, Flemish, Spanish and English. An occupational therapist was married to a Dane. The daughter of a Polish HCA was living in Greece and about to start studying in Malta. It is therefore not altogether surprising that many members of this multilingual community showed an interest in languages and language learning. There were many examples. A Spanish-speaking nurse who had volunteered to take part in a research project on bilingualism was happy to share her experience of an MRI scan of her brain. Some of us took a first tentative step in Twi, the language of my Ghanaian ‘roomie’, encouraged by her visitors who always warmly greeted other ‘residents’ with ‘Eti se?’ [How are you?]. When a physiotherapist learning Spanish in preparation for a trip to Peru discovered that I had a basic grasp of the language, she suggested we could conduct our therapy sessions in Spanish. When push came to shove, however, both activities required more concentration than either of us could muster and we rapidly reverted to English. The healing qualities of laughter are well attested. Increased endorphins facilitate feelings of well-being while higher levels of DHEA, a steroid produced by the adrenal glands, have been associated, among other things, with enhanced mental abilities. Improbable as it may seem, laughter was the hallmark of life on Valley ward. In such a multilingual environment, there were many opportunities to use other languages in unexpected contexts with the intent of making people laugh. One of the nurses quite often produced apparently random expressions in French and Italian. My own nursery Polish, acquired in my role as grandmother to a half Polish grandson, was surprisingly transferable to a clinical setting, given that Polish was the language with the largest number of speakers after English (tak [yes], nie [no] kupa [poo] koniec [finished], dobra noc [good night] and so on. When a member of staff was clearly tired at the end of a shift, the use of kochanie [darling] or miśu [sweetiepie] was usually successful in raising a smile. So, too, was the call from a doctor across the corridor of ‘Voulez-vous danser avec moi?’ [Do you want to dance with me?] as I practiced my first wobbly steps. The absurdity of this request in a setting where patients’ main challenge was to stay upright in the battle for forward propulsion certainly lightened the mood. When requested, this hospital, like most others, routinely offers interpreters for outpatient appointments. Of course, this provision is not practicable in the context of longer term care. Here, multilingual staff are thus an asset, though staff repertoires aren’t necessarily a match for the languages of patients. I observed two cases of the value of multilingual staff but, for reasons of patient confidentiality, felt unable to probe further. The first concerned a Nepalese man, with extremely limited English, whose family members were unable to help. It isn’t difficult to imagine how reassuring he must have found it when a Nepalese member of the domestic team delivered hot drinks, or when the only Nepali-speaking nurse was on duty. The second case was a Polish woman, also with limited English, for whom access to Polish speakers was rather easier. So, summing up, linguistic diversity is a fact of life in a globalized world. While wanting to avoid exaggerating its importance, it can be argued that it is a source of both hope and healing. In terms of hope, bilinguals are always pleasantly surprised to learn of evidence that speaking another language can delay the onset of dementia by up to four years (Bialystok et al, 2007); while the use of language-related humour has a potential role in creating feelings of well-being. Last but not least, multilingual staff are a valuable resource in the context of provision for multilingual patients. I remember one night at Muzdalifa with nothing but the sky overhead, I lay awake amid sleeping Muslim brothers and I learned that pilgrims from every land – every color, and class, and rank; high officials and the beggar alike – all snored in the same language (Wolfe, 1998). Many thanks to Viv for sharing her experiences with us. We wish her all the best for her continued recovery. Bialystok, E., Craik, F. & Freedman, M. (2007) Bilingualism as a protection against the onset of symptoms of dementia. Neuropsychologia 45(2): 459-464. Wolfe, M. (ed. )(1998) One thousand roads to Mecca: ten centuries of travelers writing about the Muslim pilgrimage. New York: Grove Press. This month we published Dialogues with Ethnography: Notes on Classics, and How I Read Them by Jan Blommaert. Jan has made a short video introducing the book and its argument that ethnography must be viewed as a full theoretical system, and not just as a research method. For more information about this book please see our website. If you found this interesting, you might also like Jan’s 2013 book Ethnography, Superdiversity and Linguistic Landscapes. This month we published Statehood, Scale and Hierarchy: History, Language and Identity in Indonesia by Lauren Zentz. In this post Lauren reveals the surprising inspiration behind the book. A month or so ago, after I’d completed this book and actually had time to let my thoughts wander again, I flashed back to the first time that I appreciated history. I was on my first study abroad trip as a college student in 2001 in Avignon, France, sitting in a 13th century building that had become our class building. In the upstairs library I picked up a historical linguistic book on the history of European languages dating all the way back to Roman times. Throughout high school I had developed a great disdain for learning history, as the histories taught in US high schools are not only entirely suspect but they are also incredibly boring, and usually ‘taught’ by a rotating stream of sports coaches (at least in my high school). But this dusty book that I found in this 13th century building in France transported me to a Rome that actually had people (not just Caesars), who walked, and talked, and yelled at politicians, and had relationships and were humans, just like us some millennia later. I’d never related this experience to the current project at hand – a book about contemporary language in Indonesia – until I sat down that day and reflected on the obsession I’d had with historicizing the Indonesian context as I wrote this book. This need to historicize most certainly had links with current researchers’ calls for the addition of more history to our work; but I’d like to also think that I was driven to do so by that one experience I had so long ago, when I learned that history was where we could see living people exercising agency – and having it exercised over them – in their contexts over long periods of time. 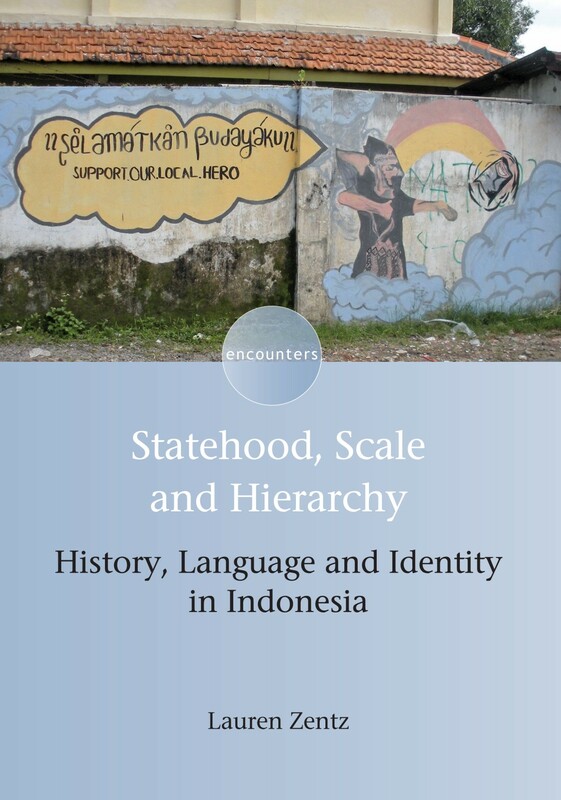 Statehood, Scale and Hierarchy: History, Language and Identity in Indonesia is clearly a book for graduate students and professionals in the fields of Sociolinguistics, Linguistic Anthropology, Applied Linguistics, and Indonesian studies in general. I hope that readers will take away from this book the importance of situating our work within deeper historical contexts. Part of this importance for me comes from the desire to explain that Indonesia’s current historical context is not the way it is simply because of the development of the nation-state in reaction to European colonialism. Many of Indonesia’s current sociolinguistic facts are due to human currents and power dynamics that have been going on for far longer and in far more complex ways than only colonial and post-colonial states can answer for. I have attempted to situate contemporary Java and my college student participants in such a deep history, as individuals conditioned not only by their contemporary subjectivities in Indonesian statehood under globalization, but also as historically situated subjects whose linguistic practices reflect a deep and complicated history of life on Java over centuries. For more information about this book please see our website. 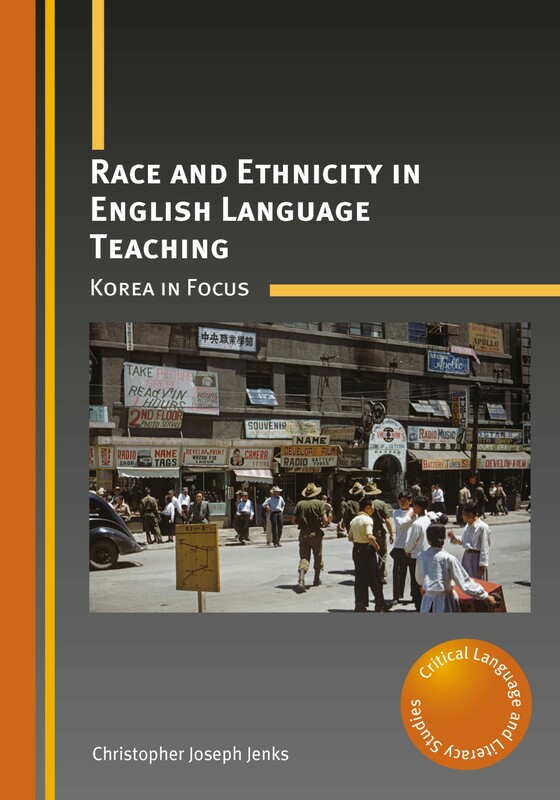 If you found this interesting, you might also like Race and Ethnicity in English Language Teaching by Christopher Joseph Jenks. With the recent publication of the 6th edition of Foundations of Bilingual Education and Bilingualism, we hit a real milestone and published our 1000th book since the company began. In this post, Tommi reflects on the last 35 years leading up to this point and discusses how the company and wider world of publishing has changed over time. 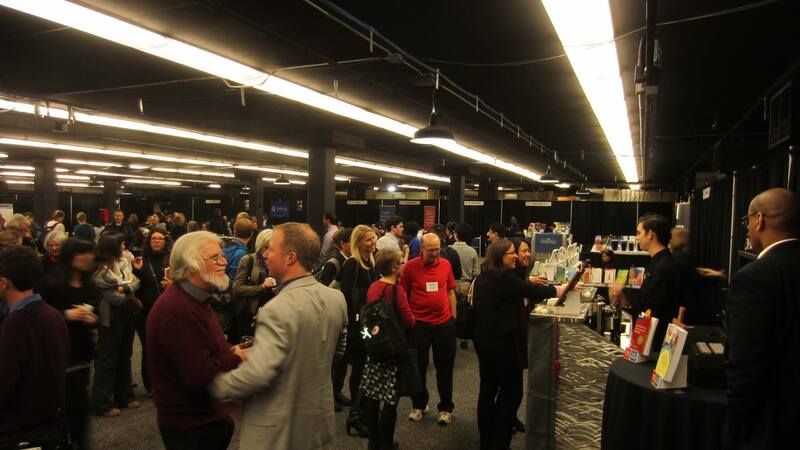 At the recent AAAL conference in Portland, OR, we celebrated the publication of our 1000th book, the 6th edition of Foundations of Bilingual Education and Bilingualism, co-authored by Colin Baker and Wayne E. Wright. Since I remember the publication of our very first book in 1982, Bilingualism: Basic Principles by Hugo Baetens-Beardsmore, this led me to reflect a little on what has changed at Channel View Publications/Multilingual Matters (CVP/MM), in the world of academic publishing, and attitudes to bilingualism since then. Many of you will know that CVP/MM is a family business, founded originally by my parents in response to being told by our family doctor not to speak Finnish to my brother and me, stating that “they didn’t know what damage they were doing”. Fortunately, being a formidable combination of a stubborn Finnish mother and an entrepreneurial Essex-man father, they not only refused to take such unwelcome advice, they took it as an opportunity to find and publish world-class research focusing on the many positive benefits of bilingualism. 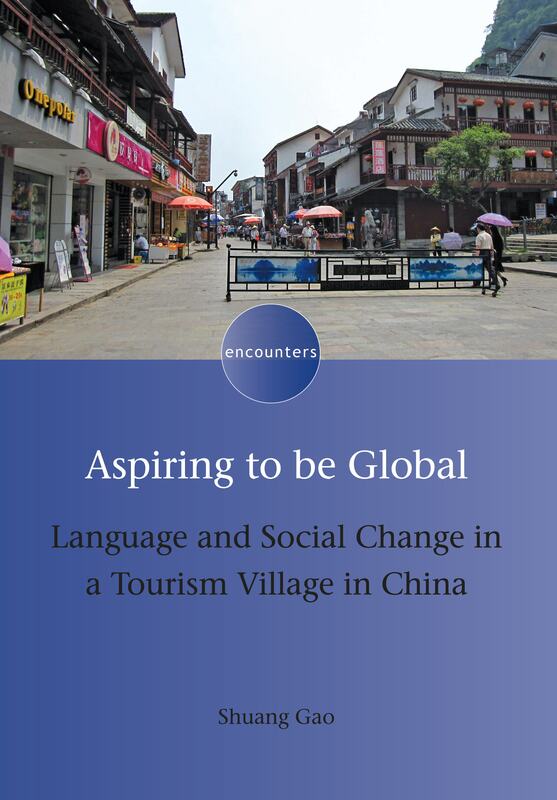 Although we now publish in a very wide range of topics – including applied linguistics and sociolinguistics, educational research, language disorders and translation studies under our Multilingual Matters imprint and, under our other imprint Channel View Publications, tourism studies – language rights and positive attitudes to bi- and multilingualism remain at the heart of what we do. We believe that no mother or father should ever be told not to speak the language of their heart to their children without extremely well-informed reasons for doing so. Although in many cases attitudes towards bilingualism may have switched towards the more positive and even aspirational, this is often only the case if the languages you speak are privileged western languages, and in many cases only if you are of the majority population. It is fine and admirable to learn Spanish or Arabic if you are white, but society might be less positive about you retaining your Spanish or Arabic if you are an immigrant. There is still much work to do in changing attitudes towards languages where these languages are associated with immigration or are minority indigenous languages. Some of my first memories include sitting under our dining room table, “helping” my parents stick the mailing labels onto envelopes that would carry our first catalogues out into the world. Among the many addresses we sent catalogues to, 252 Bloor Street West stuck in my mind. As a 6 year old child I struggled to understand how so many people lived in this one house! In the years since then I have come to know the Ontario Institute for Studies in Education (OISE) well, and have got to know the very many authors and friends who are based there. We no longer pack and mail our catalogues ourselves, this is one of those tasks that computers and automation have simplified, but as the editor of my local orienteering club newsletter I have to pack and mail all the copies to our members, so I like to think that I have retained those valuable skills! In 1982 we were already using computers for journal subscription processing, but all correspondence with authors and editors was by mail. We used to do so much mailing back and forth that the local post office gave us our own postcode! All of our records were kept in large filing cabinets and a system of racks, T-cards and folders would track the process of book and journal manuscripts from initial proposal to published book. 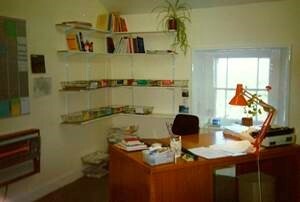 Sales reports from our distributor would be couriered once a month to us in a large box, and even as recently as the late 1990s we would wait with excitement to go through the monthly sales reports and see how well our books had been selling. These days everything we do is reliant on computers, the internet and data. We only have to log in to our distributors’ reporting sites to get the sales figures from the day before, and we can communicate easily even while travelling. This availability of data and immediacy of communication brings with it a new set of demands and challenges. There is a sense that we must respond to everything as quickly as possible and that we absolutely have to know how many books were sold in the last 24 hours. A lot of time is taken up by responding to queries that in the past would have waited for a single letter, and of course we put the same pressures on to other people. In the early days of our company the only reliable way to purchase books was via the bookshop, or to put a cheque in the post with an order form from our catalogue. These days the rise of companies like Amazon, Books etc. and the Book Depository, as well as our own website, means that wherever you are you should be able to order a print copy of our books and have it posted to you quickly. If you choose to purchase an ebook, you can place an order now and have the full text, even in some cases with embedded video files and links to relevant websites and resources, delivered direct to your computer, tablet or reading device within seconds. Libraries are able to buy one multi-user license of a digital book, which does not degrade with age and usage, and are able to share this with multiple users of the library, even off-site users of the library, at the same time. Shelf space is making way for more computer spaces and learning environments, and university campuses are changing accordingly. Of course the downside of this is that the number of copies required to service the same population has fallen, and so in general across the publishing industry we have seen the total number of sales of any one academic title fall quite dramatically in the past 10 years or so. Since the majority of overhead and fixed costs of publication have not fallen, this means that book prices have risen much faster than inflation in order to cover those costs. While it is interesting to look at what has changed, it is also very instructive to consider what has stayed constant over all this time. Digital technology and distribution has meant that the barriers to entry into the publishing industry have fallen dramatically. In a world where anyone can write, typeset and publish a book relatively quickly, easily and inexpensively, the role of the publisher in providing a measure of review, revision and quality control is just as important as it was in 1982. It is arguably even more important now, given the recent attention to fake news stories and alternative facts. CVP/MM has always believed in reviewing manuscripts thoroughly and as transparently as possible, and while peer-review is not a flawless system, it is a vitally important step in ensuring that the books we publish can be trusted by students, researchers, parents and policy-makers. We continue to grow as a business, this year we will publish 60 titles across all of the various subject areas, where just 10 years ago we would schedule 30 titles. But we remain a small and friendly operation with approachable staff. We have fostered an atmosphere where we can thrive and grow within our jobs, and so our staff turnover is extremely low. It is highly likely that you will deal with the same people through the life of your book project, if not your whole career! 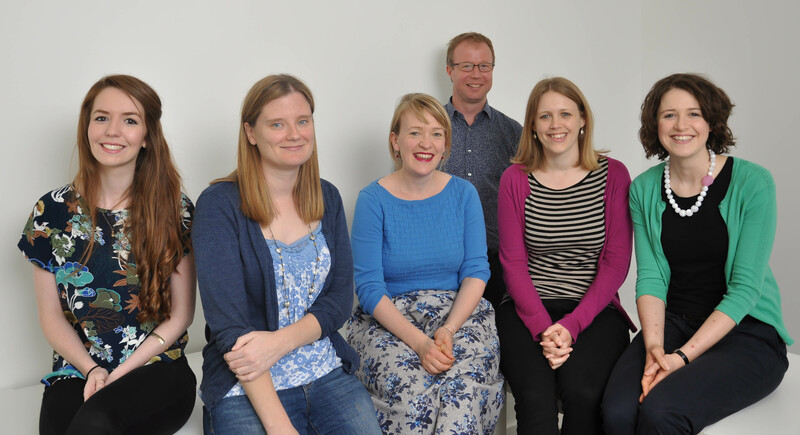 You will have seen me at every AAAL for the past 19 years, but you may not be aware that Sarah and Anna will this year celebrate their 15th anniversary of working for Multilingual Matters, and Elinor and Laura are not that far behind. Our most recent full time colleague, Flo, already feels like part of the family, and our intern, Alice, reflects the values that we all share. 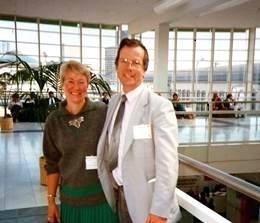 Although my father, Mike, is no longer around to see the progress we have made since he and my mother, Marjukka, retired, he would still recognise everything that we do and be proud of how we have continued to build on what they started 1000 books ago. We would not have been able to publish 1000 books if it wasn’t for the many authors, series editors, reviewers and readers who have contributed in so many different ways. There are too many to name here, but I hope you know just how important you are to us. It has been a pleasure to work with you all and I hope that you will continue to partner with us, to work with us and to hold us to account when we do occasionally get things wrong, so that as we go on to publish books together we can all grow and improve, and look back on the next 1000 books with just as much pride! 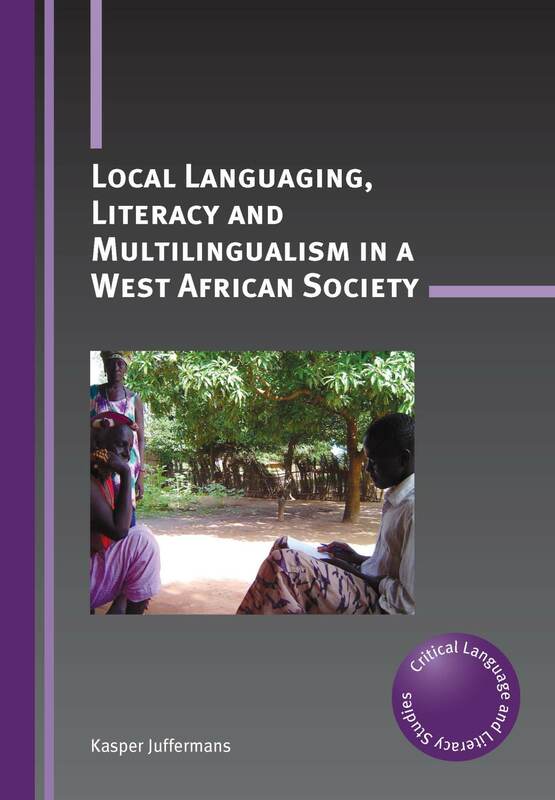 Last month we published Local Languaging, Literacy and Multilingualism in a West African Society by Kasper Juffermans. The book challenges existing definitions of ‘language’ and ‘literacy’ in The Gambia. In this post, Kasper gives us a bit more background to the ideas discussed in his book. How many languages do you speak? If we think a bit longer about this rather common question, it is not the same kind of question as How often have you been to Africa? or How many children do you have? Generally, travels and children are rather easy to count and remember. With language that’s not quite the case. Languages are difficult to count not because people often speak such a large number of them – usually they don’t – but because it’s hard to tell where one language begins and another ends, as well as what counts as speaking it. As a student of African studies at a Belgian university I began carrying out field research in The Gambia, Africa’s smallest mainland country. The Gambia gained independence from the UK in 1965 and like many African states it has maintained its colonial language as official language. This includes use as a medium of instruction throughout the public education system and almost exclusive use in the written media and the public space. I began my research in a modern multi-ethnic village in the southwest of the country. The village comprised people of Mandinka, Jola, Fula, Wolof and Manjago ethnic groups living together. It was a very encouraging environment to learn Mandinka with numerous people around me with the patience and the interest to teach me, and enough (elderly) persons who did not, or pretended not to, speak any English. The more time I spent in the village, the better my Mandinka became. Before long my communicative skills were enough to engage in small talk with neighbours, fellow passengers, street vendors, etc. But then people would challenge me and ask me if I could, or why I didn’t, speak their language. This way I learned to recognise and greet in Wolof, Jola, and Fula too. Not only did I have to learn the local language, I had to learn to language locally, to respond adequately in greeting sequences involving Arabic, the interlocutors’ ethnic language and the lingua franca of the situation. I had to learn to choose the right moment to switch, and get the cultural pragmatics of turn-taking and back-channelling right. All of this is not learning different languages, but rather learning local languaging. In my research I learned to look beyond languages in the plural to understand multilingualism and literacy in Gambian society. I discovered that I had entered the field with a rather European conception of language and that this was different from African ways of understanding language. In the linguistic landscape – i.e., the public space as marked by linguistic objects – I could hardly see any language other than English. There were only very few occasions of local language, and then usually only in Wolof. What did this mean? Are African languages somehow not written languages? Is Wolof more vital than other Gambian languages? And how do we read the prolific use of images complementing text in the public space? My book attempts to address these questions. The Gambian government prepared an education policy for 2004-2015 that announced the introduction of the five most commonly used local languages as subjects throughout the education system and as medium of instruction in the first three years of basic education. But why can’t we see any evidence of this policy in the school I investigated? Could the problem be situated in the fluidity of local language practices and the fixity (and eurocentrism?) of such a policy document? Community members declared their support for the introduction of moo fing kango (‘black people’s language’) in their school, but refused to make a choice about which of the local languages should be introduced. The book argues that such voices need to be taken into account and attempts to proceed from there in understanding language in education and society at large. During my fieldwork I gradually unlearned to conceptualise language in the plural, and to understand language rather as a verb. 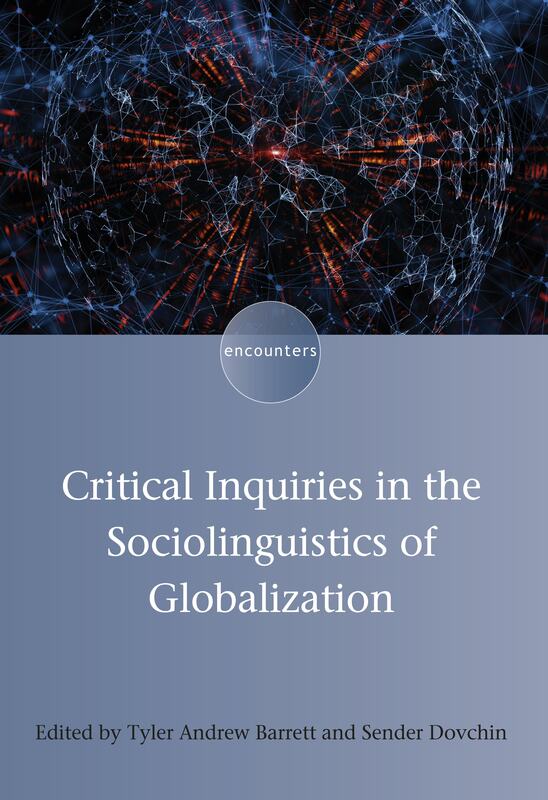 The present book contributes to the languaging turn in sociolinguistics by emphasising the dynamics and fluidity of language as practiced locally in a globalising world. Whereas English and literacy have in the past strategically been pluralised to emphasise diversity in practices across cultural contexts (Englishes, literacies), it is now time to singularise them again and think of language and literacy as material nouns. This book can be read not only as a sociolinguistic monograph of one West African society, but also as an exercise to unpluralise language. Earlier this month we published Lian Malai Madsen’s book Fighters, Girls and Other Identities. 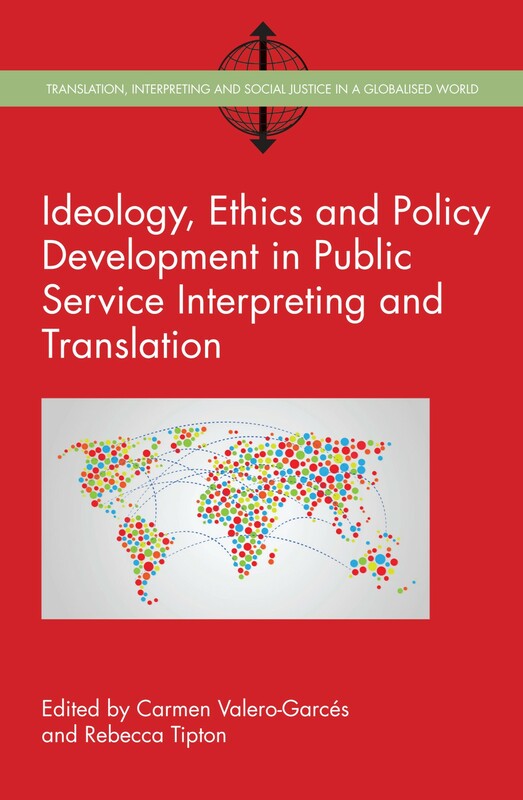 In this post, she explains how her interests in martial arts and sociolinguistics came together in this volume. I was 12 when I began practicing taekwondo in a small village club. At first it was my gender-egalitarian occupation that attracted me to the martial arts. Later it became an integral part of my self-perception, my main leisure activity and a source of lasting friendships. I continued to enjoy the sport as a fun way to keep fit, but it was the social community around the sport that had the greatest impact on my life. I was 19 when I was first introduced to sociolinguistics at an urban university. At first I thought studying Danish was mostly about literature, but my teacher in linguistics opened my eyes to the connections between language use and social relations. I became involved in his research project and developed a keen interest for language, identity, diversity and inequality. During my years as a university student I became a black belt, an instructor and a board member in a large urban taekwondo club. 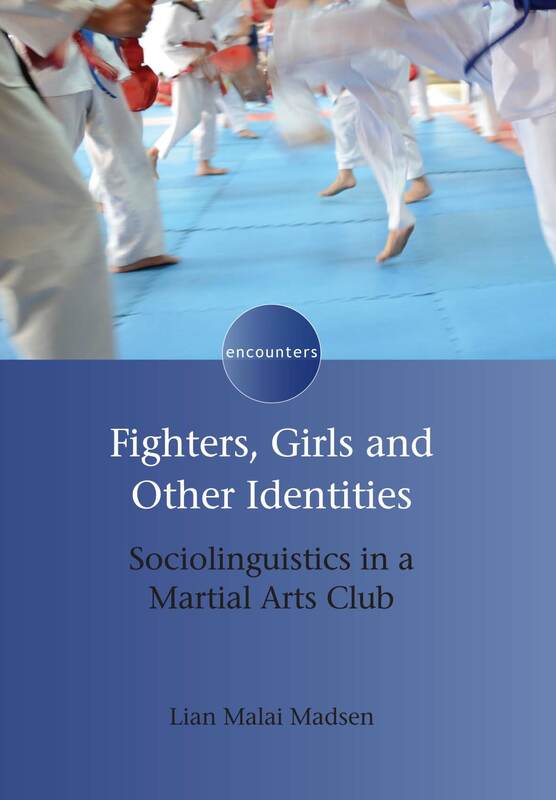 Although these paths in my life seemed like two very different worlds they eventually became united in the book Fighters, Girls and Other Identities: Sociolinguistics in a Martial Arts Club that investigates the martial arts club as a site where language, identities, diversity and inequality take effect. In research on sports and identities, language has mainly been studied as discourses about sport, rhetoric surrounding sports or as speech genres connected with specific sports activities. But in tune with a wish to capture the social and linguistic diversity and mobility of today’s societies, sociolinguistic research has also turned to sports as an important site for studying linguistic hybridity and multilingualism. 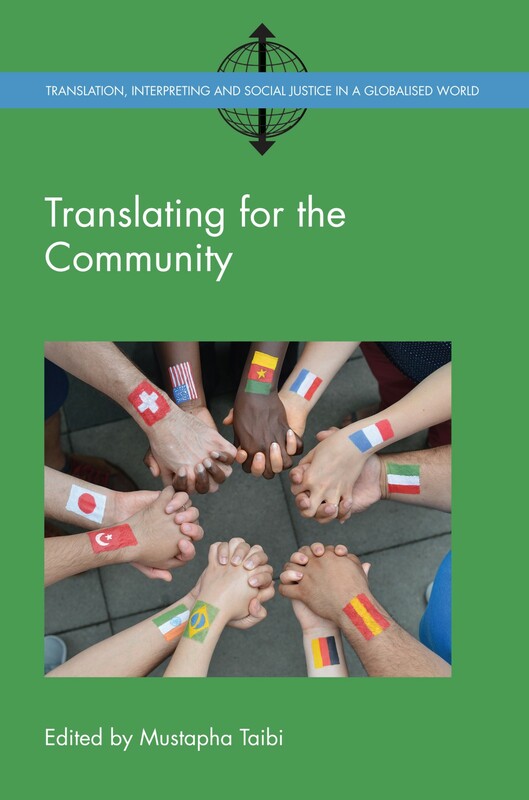 Such interests in globalization and superdiversity make the combination of the language use, sports and identities a fruitful research cocktail. It was my involvement in these topics as a scholar that led me to exchange the punching pads for a pen, notebooks and recording equipment for a while and to look at the social community of young martial artists in Copenhagen through the glasses of a sociolinguist. I am 39 and the results of this research have finally been published, and, in the meantime, I have even become a taekwondo-mum. For more information on this title please contact Lian or see our website. Lian Malai Madsen has recently been announced as the winner of the 2014 Ton Vallen award. This is an annual award for papers written by new researchers on sociolinguistic and educational issues in multicultural societies which we at Multilingual Matters are proud to support. In this article Lian discusses the background to her paper which examines integration and linguistic styles in Denmark. My husband moved to Denmark 12 years ago from the UK. When we met he used to live off microwave meals and industrial white sandwich bread, but now he bakes his own rye bread. Rye bread can be considered a key sign of Danish national belonging (as Martha Karrebæk has shown in her research, e.g. in What’s in your lunch box? 2012), and not only does he consume it, he creates it himself – from basic organic ingredients. I like to joke about this change by calling him well ‘integrated’. In the most common sense of ‘integrated’ he certainly seems to be, when it comes to food habits: He has adapted to the eating practices of the majority population in the country he immigrated to. When it comes to speaking a standard variety of the national language, however, he is not as successful, and the mastering of the national language is of course also highly significant to integration as it is understood in Western European political and public discourse. Among the teenagers I have followed with my colleagues during our fieldwork in an urban school in Copenhagen, the term integrated is used in a different way. These teenagers are not unaware of the common meaning and its connection to the wider integration discourse, and their use is not unrelated to this, but the way they employ the term with reference to language use is intriguing and revealing to a sociolinguist. The young Copenhageners use ‘integrated’ as a label for a speech style and claim to speak integratedly to teachers and other adults, for instance, to show respect. They do not only report to speak ‘integrated Danish’, but some of them also speak ‘integrated Arabic’ with their parents, and students with ethnic Danish family background describe it as appropriate to speak integratedly to the elderly. Finally, they playfully illustrate typical integrated speech and speakers with very high-pitched, exaggerated polite and tea-drinking parodies. In this sense, a term otherwise associated with different national and ethnic relationships and newcomers’ adaption to language use and culture, clearly has a new meaning that also includes a more general stylistic and hierarchical dimension. In the recent academic paper “High” and “Low” in urban Danish speech styles I look into this when I discuss how youth in Copenhagen use and understand different ways of speaking. A significant insight gained from the research documented in the article is that a speech style previously described and conceptualised as multiethnic youth language is understood in contrast to the ‘integrated’ speech style by teenagers regularly using this way of speaking. The ongoing social value ascriptions to the contrasting styles, in fact, seem to map on to a set of opposing binaries involving low/high; street cultural/academic; masculine/feminine; tough/polite; emotion/reason; youthful/adult, and this, I argue, points to a sociolinguistic transformation. Linguistic signs that used to be seen as related to migration, on an insider/outsider dimension of comparison, are now related to status and social class on a high/low dimension as well. Since language and linguistic styles as tools for daily communication come to be associated with particular people, places, purposes and values, the way young people use and understand language can tell us a lot about how they experience similarities, differences and inequalities in the social world. Public discourse about minority youth tends to emphasise ethnic, cultural and religious differences to explain social inequalities today and thereby perhaps overlooks dimensions of social status and class. But the teenagers I have studied articulate aspects of social inequality (indexed by different ways of speaking) that most of the current discussions about the challenges of diversity fail to capture. So this kind of research on the speech styles and language ideologies is not only interesting for sociolinguists but can also contribute to qualifying societal debates. My husband would probably never be accused of speaking integratedly (he is from a city in East Yorkshire), and I am not sure he captures the hints at poshness in my ‘integrated’ joke (he grew up in a very working-class environment). But the relatively more high-status signals it stereotypically sends – of having the resources to value environmental and health concerns – when you make your rye bread from organic ingredients (and happily share experiences and recipes), is perfectly in tune with the associations of integrated as it is used by the young Copenhageners about speech. Perhaps he will get if he reads my paper. Or perhaps I should just work a bit on my jokes. Lian’s webpage at the University of Copenhagen can be found here. Lian Malai Madsen (2013). “High” and “low” in urban Danish speech styles. Language in Society, 42, pp 115-138. doi:10.1017/S0047404513000018.